Produced in more than 80 countries, using many different methods, rum is celebrated on international rum day on 16th August. Believed to be the drink of pirates, rum has been growing in popularity in the recent years and now ranks alongside whisky and gin as one of the UK’s favourite spirits. For the first time, annual sales of rum in Britain have topped £1b, after being stuck around the £750m mark for years. Companies have even started dubbing 2018 as ‘the year of rum’. But what trends are driving the growing rum market? Consumers are becoming more interested in age and provenance of the sugarcane-based spirit. To accommodate this new trend, brands are launching more premium spirits. For example, Diageo launched the most premium expression ever of its Guatemalan rum, Zacapa, last year – Zacapa Royale. While in 2012, Appleton Estate added a 50-year-old expression which at the time was the oldest commercially available rum. While the spirit is often associated with Jamaica, consumers are also looking beyond the Caribbean for their rum. The Philippines’ rum footprint is breaking new ground, and is currently ranked the third largest rum market in the world. Its first small batch, single island sipping rum, Don Papa, sold close to one million bottles globally in 2017. According to data insight professionals at CGA, golden rum will be the next big trend in the spirits category, outpacing gin by 2020. Whilst golden rum is booming, white rum is growing less popular, and brands that are primarily known for white rum, such as Bacardi, are putting more investment behind golden variants. Earlier this year, Bacardi launched Bacardi Cuatro, as well as relaunching its Bacardi Reserva Ocho to target different consumer groups. Consumers are increasingly interested in new flavours. The popularity of flavoured rum can be measured by increased competition and new product launches. 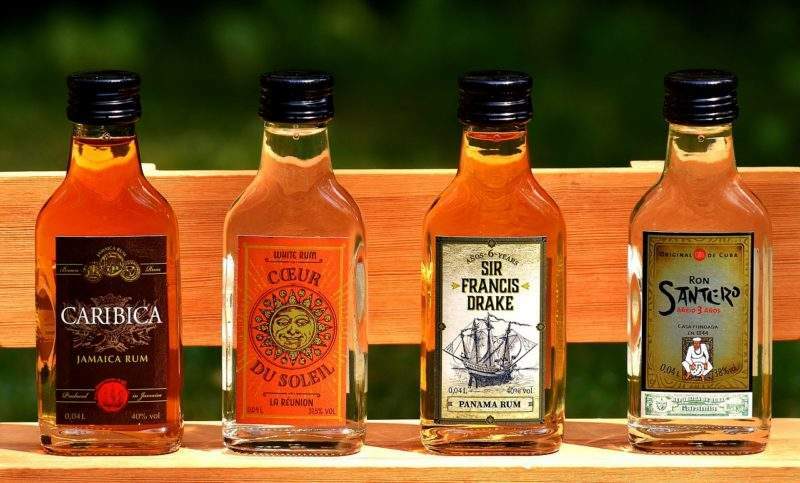 Coffee rum and coconut rum are particularly popular so far this year, with a number of brands coming up with their own version of the flavoured spirit. The brands are also trying different flavours such as pumpkin to appeal to drinkers keen to discover new taste combinations. Some recent launches include Captain Morgan’s pumpkin spice rum Jack-O-Blast, Captain Morgan’s Apple Smash, and Mango Malibu Rum. Cocktails are believed to be behind the rise of rum, and the UK’s cocktail culture is currently thriving. Tiki Cocktails—typically made with rum and fruit juices such as Daquiry and Pina Colada – remain the most popular rum cocktail options. However, as rum continues to grow in popularity, restaurants and bars are looking for new ways to satisfy consumers’ thirst for the spirit.